Following the agreement between Grupo Alfonso Gallardo and KKR, Papresa is now under the ownership of KKR, a leading global investment firm with strong presence in Spain. Over the last years, KKR has invested over €1 Bio million in companies in Spain, including Inaer, a leading provider of aerial emergency services and aircraft maintenance for mission critical operations, Uralita, a multinational company of building materials and ACCIONA Energía International (AEI), an international renewable energy generation business. Another seventeen companies of KKR's global portfolio of companies have operations in Spain, employing over 6,000 people and operating across different industries such as IT, energy, aerial, chemical, bio-medics, pharmaceutical, education, intellectual property and others. Lourdes Marquet, COO of Papresa, said: "We are excited to have such a reputable, internationally recognized investor, as the owner of our company. Papresa now benefits from a stable, long term capital structure, allowing the company to focus on the development of its business. 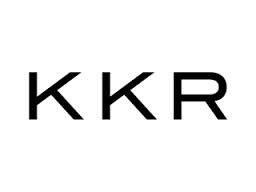 We will also be able to tap into the operational and financial expertise within the KKR investment platform." Papresa is a paper mill located in the north of Spain with production capacity of 325,000tM/year of Newsprint, Improved, Colour and Directory paper for Cold-Set and Heat-Set printing, operating 3 Paper Machines and 2 deinking plants. Under the new ownership, Papresa will implement the investments and improvements plans required to work at full capacity and develop the products demanded by its customers and markets.